This is a chance to try rock climbing with the safety of a top rope. 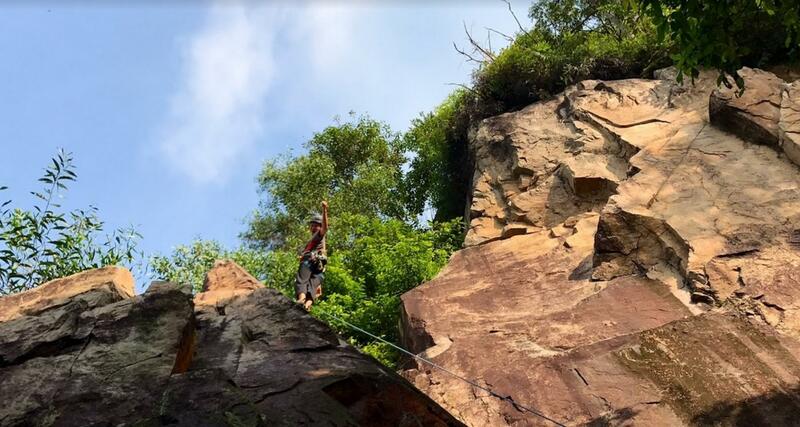 We will have 2 to 3 routes to try, (and maybe more if there's enough time) Rock climbing grades are 5, and 5c, If you are not sure what that is, we will explain! We will introduce recreational abseiling techniques, systems and equipment used during an abseil session. Participants will be exposed to, and will use, a variety of equipment with an aim to developing personal abseil skills. All equipment is provided (excluding chalk and rock climbing shoes) So wear shoes with a groovy grip! Safety is our priority. In case of bad weather or rain, the event may be postponed or cancelled.